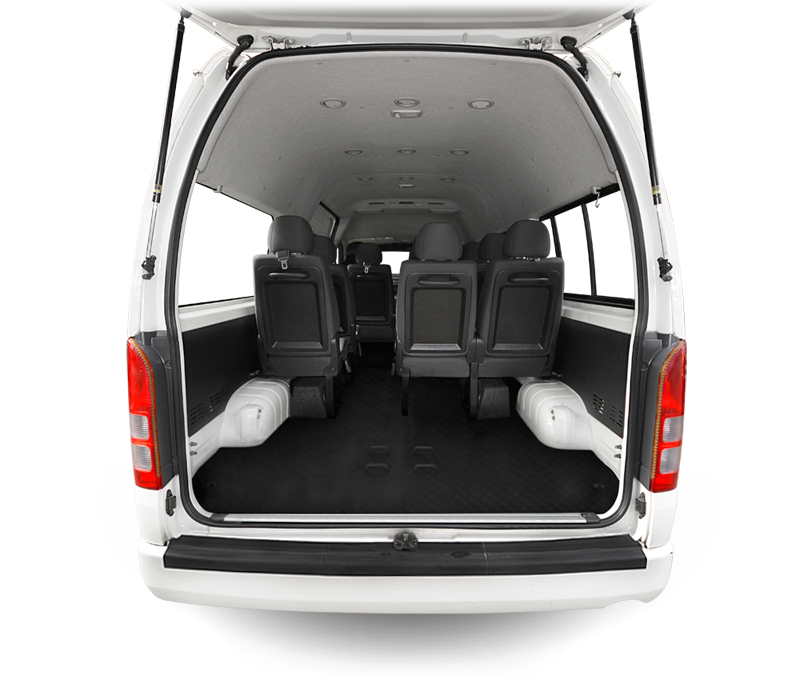 There are several models of van, and they differ in the number of seats and space available for luggage. Based on the information you provide, we'll try to provide you with the most suitable vehicle. Once a van is assigned to you, we'll let you know the specific details of its capacity, so you have an opportunity to tell us if you have any concerns. All vehicles are modern and comfortable, with good air-conditioning and spacious seats. 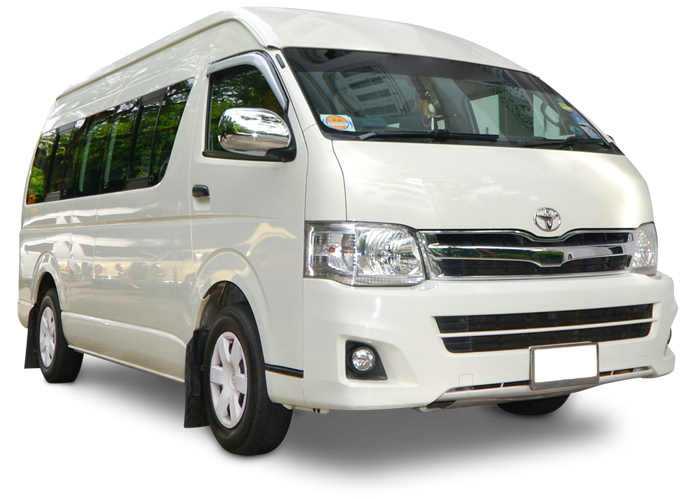 The most common vans in Thailand are Toyota Commuters, which can carry 8-10 people (depending on configuration) and 8-10 medium sized bags. Some other vans have fewer (but bigger) seats. Be realistic about your luggage. If you are a big group with lots of bags and/or sports equipment such as golf clubs, consider adding an extra van to make sure you have plenty of space for your group and their baggage. Your driver will be an experienced passenger driver with local knowledge and appropriate training. You can expect a courteous and professional service. Your driver is not a guide, but he'll be able to help out with smaller decisions during your trip. The 2,200 Baht daily fee includes up to 10 hours of driver's service per day. For hours beyond this, expect to pay 150 Baht/hour (or part thereof) directly to your driver. For overnight stays outside of the city of origin, there will be an accommodation fee for the driver of 500 Baht/night. You'll pay this directly to the driver. Fuel is not included, and you must pay this yourself. When your van picks you up, it will have a full tank of fuel. At the end of the trip, you'll need to ensure the tank is full too. All fuel is at local pump prices. Any extra fees, including toll-road fees and entrance fees to parks, etc, will be your responsibility and payable directtly. You're free to eat, drink, sing and generally enjoy yourself in the van. But please help keep things tidy. You can change your plans and itinerary at any time. Just let your driver know.